With Valentine's Day upon us I thought I'd show you a delicious chocolate mask I tried. 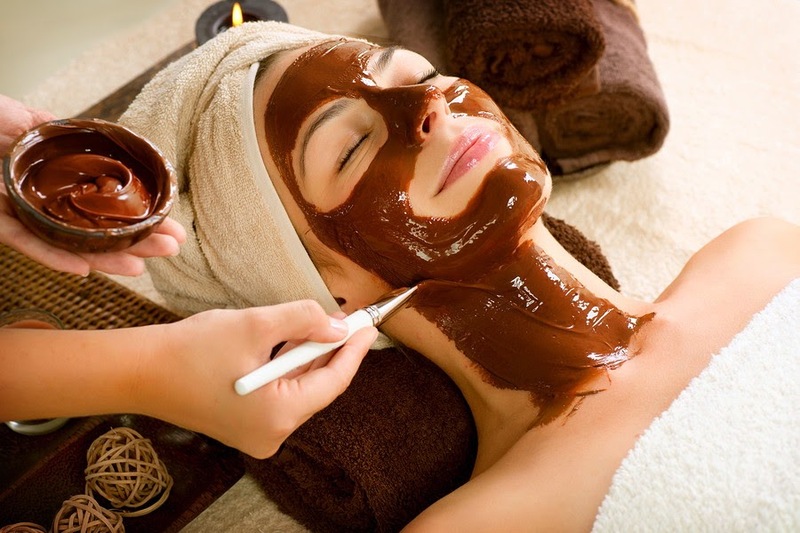 This mask smells amazing, like you're baking chocolate cupcakes in your kitchen. And it makes your skin feel so soft, plus its edible so you could lick it off. I love pampering myself with DIY masks and this is the most decadent one I've made. It's made with three simple ingredients I already had in my kitchen. It's perfect for winter's dry skin as the honey is incredibly moisturizing. Don't worry it won't break you out, honey acts as a antibacterial to help disinfect your skin if you have acne. I used pure cocoa to get all of the antioxidants to help clear skin and keep it hydrated. Coconut oil is an amazing product to put on your skin, it's an antiseptic and helps fight wrinkles. Mix all the ingredients together and apply to your skin. Leave on for 20 minutes. Remove with water and apply your moisturizer. If you're looking for a great dish for brunch this weekend, try my Valentine's Healthy Breakfast option. Here's how I spent Valentine's Day last year.